Valerie is a stunning and incomparable mulberry leaning jelly that is a real show-stopper in any lighting. Build up to a few layers and prepare to be amazed at the deliciousness on your fingertips! 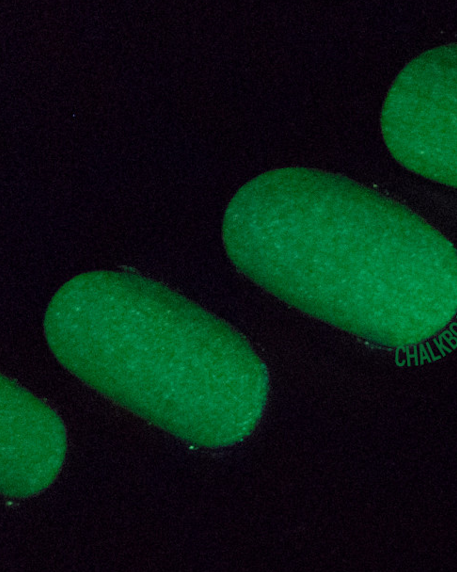 Easily built up or sandwiched, the sheer formula of our jellies make way for our scattered holographic micro-flakes to work their magic all the way through each layer right down to your nails! 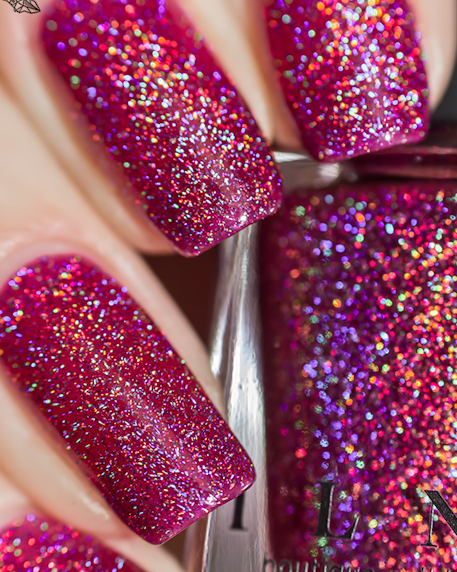 The end result is a super crisp and sparkly finish with unmistakable depth. Fully opaque in 3 to 4 coats! 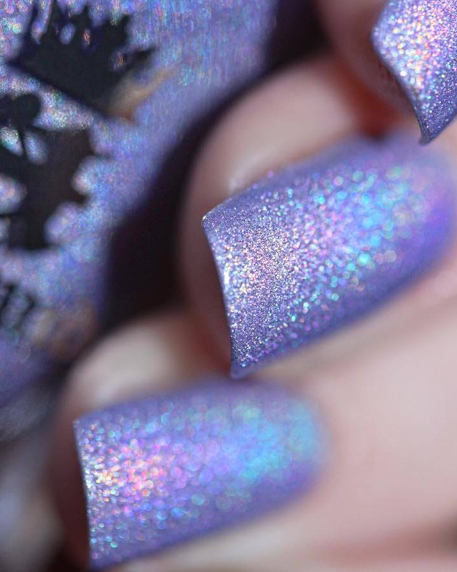 ILNP makes great quality, gorgeous polishes and Valerie is no exception. 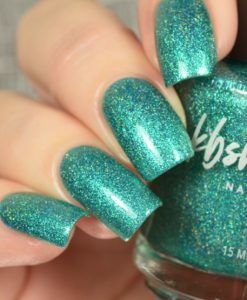 I absolutely love this polish and I wear it all the time. The colour is a vibrant berry. It is a cool-toned berry which I love on my cool-toned skin, but I do think it would also be flattering to warmer skin tones. 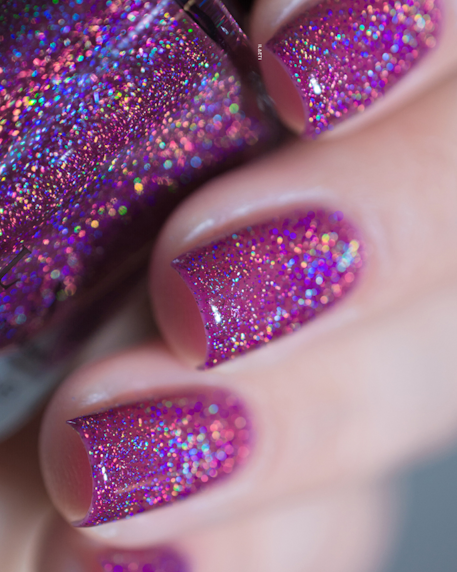 It is absolutely stuffed with scatter holo and the jelly formula gives it a wonderful glassy, squishy appearance. 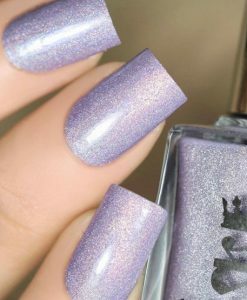 Opacity is really good for a jelly, on me it’s opaque in three thin coats, and the formula as with most ILNPs is super easy to work with… applies evenly, easy to manipulate on the nail and dries quickly so you can get your mani done fast. I bought this on a whim and loved it way more than I was expecting, so I would definitely recommend this polish.